Memorial Hermann Medical Group’s (MHMG) Prevention and Recovery Center (The PaRC), a free-standing alcohol and drug treatment center for adults, provides comprehensive, individualized, empathetic care with complete patient confidentiality in a warm, retreat-like environment. Serving patients from throughout the Houston metro area, The PaRC is backed by the vast medical resources of the Memorial Hermann Hospital System and the Memorial Hermann Medical Group – one of the Houston area’s largest and most experienced physician networks. Patients at The PaRC also have the convenience of access to MHMG’s 24/7 online patient portal. The PaRC’s specialists have extensive training and experience in substance use and addiction screening, inhibition, intervention and treatment. 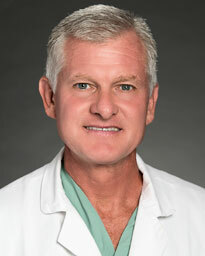 Dr. Robert Leath earned his medical degree from The University of Texas Medical Branch-Galveston and completed his residency in the Memorial Family Medicine Residency Program at Southwest Memorial Hermann Hospital. Dr. Leath is board certified in both addiction medicine and family medicine. He sees PaRC patients for follow-up on an outpatient basis. 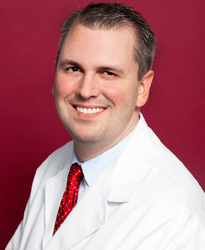 Dr. Matthew Thompson earned his medical degree from The University of Texas Medical Branch-Galveston. He completed his residency at Baylor College of Medicine in Houston and a clinical fellowship in geriatric psychiatry at the Mount Sinai School of Medicine in New York. Board certified in both adult and geriatric psychiatry, Dr. Thompson is one of few Houston-area physicians who specializes in mental diseases of the aged, including dementia, traumatic brain injury, depression, anxiety, and neurological and psychotic disorders. The PaRC is conveniently located on Gessner Dr., between Kempwood Dr. and Clay Rd. across from the Pine Crest Golf Club.